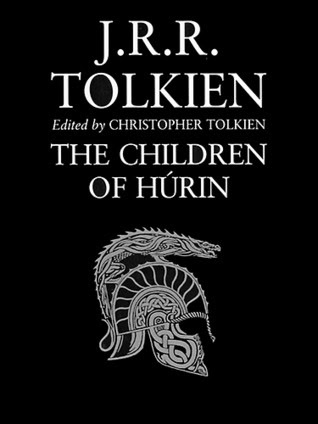 Long before the One Ring was forged in the fires of Mount Doom, one man--Hurin--dared to defy Morgoth, the first and greatest of the dark lords to plague Middle-earth. Thus did he and his children, Turin and Nienor, earn the enmity of a merciless foe that would shape the destiny of all the ages to come. This a much darker tale than Lord of the Rings or the Hobbit. Curses, deceit and never ending woe seem to make up this tome. This being a reread I found that I was having a much easier time of keeping the characters names straight. His world and history building really helped me understand the two more popular books which I already love. I'm just sorry I didn't reread The Silmarillion first as it has the history for this book. Call George R.R. Martin a world builder if you like but I'm pretty sure he borrowed a lot of pages from Tolkien. Not only do I see the influence of Norse Sagas I also feel there are a few influences from Shakespeare and foremost comes to mind Romeo and Juliet. Turin and Nienor may not have been star crossed lovers but they were star crossed none the less. Glarung is far more evil then his Kindred Smaug. To enslave an entire people shows the cunning of this most wicked dragon. The mention of Sauron was a nice foreshadowing. It may be hard to keep some of the names straight but I guarantee it's pleasing when you do recognize one. I think Christopher did a fine job of putting this together from all his Father's notes and writings. I will say that I don't recommend this for anyone but Tolkien fans. Love me some J.R.R. Tolkien! I mean who doesn't, RIGHT?!?! Thanks for sharing! I definitely need to check this out!